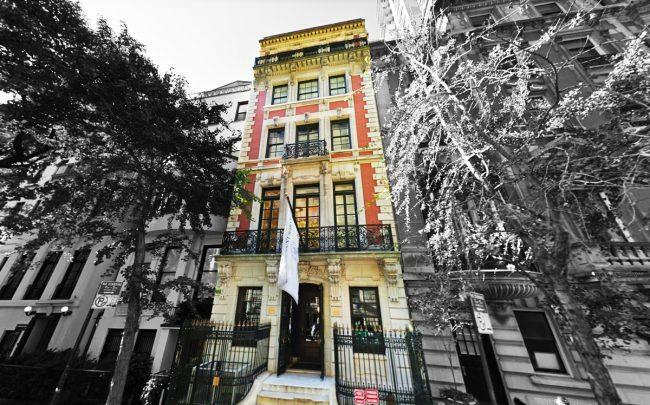 The 120-year-old townhouse, spanning 12K sf, can be vacant in "two to three years"
A 120-year-old townhouse owned by a prestigious all-girls school on the Upper East Side has been listed for $32 million. Marymount School of New York, which charges an average annual tuition of $50,000 for kindergarten through 12th grade, listed its five-story, 12,300-square-foot townhouse at 2 East 82nd Street between Fifth and Madison avenues. The Corcoran Group’s Carrie Chang, who is representing the seller, could not be immediately reach for comment. Other big-ticket townhouse listings in the neighborhood include a seven-story mansion at 12 East 63rd Street, which was re-listed in January for $67 million, down from its $77 million ask four years ago. In January, a Lenox Hill townhouse where Andy Warhol and Liza Minelli partied sold to an anonymous buyer for $18 million. Last year, a 10,300-square-foot townhouse at 46 East 65th Street sold for $12 million — less than half its 2016 asking price. A stone’s throw from the Metropolitan Museum of Art, and built between 1898 and 1900, the Marymount’s limestone and brick building was designed by architect Alexander McMillan Welch of Welch, Smith & Provot. It is 25-feet wide and stretches back 100 feet deep, and was originally owned by Albert Jennings, who owned the country’s first lathe works in Brooklyn. Marymount purchased the school in 2000 for $9.7 million, and has since built it out with classrooms to hold more than 300 students. The listing says the building could be used by another school, foundation, organization or be converted into a single-family home.